Dennis Oland's murder retrial got only a hint Thursday of what new evidence in the 7½-year-old case brought proceedings to an abrupt halt on Wednesday. 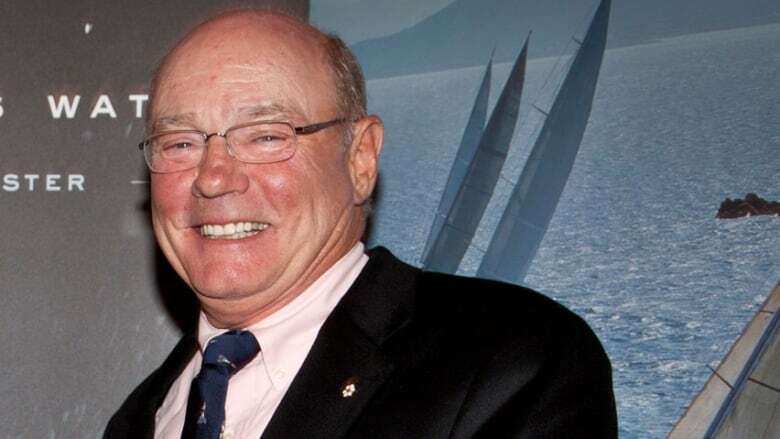 It's related to two men who heard "thumping" noises coming from Richard Oland's Saint John office on the night he was killed and whether a subsequent conversation they had might have affected one of the men's recollection. John Ainsworth and Anthony Shaw, who were working downstairs from Oland's second-floor office at 52 Canterbury St., both believe the sounds they heard were from the killing. But Ainsworth's time estimate supports the Crown's case while Shaw's supports the defence. Ainsworth, who owns the building and the printing shop downstairs, testified Thursday that he can't pinpoint a time for the "thump" and eight or 10 "rapid fire" noises he heard. He can only say that it was sometime between 6 p.m., when his friend Shaw arrived at Printing Plus and 8:11 p.m., when a customer sent a time-stamped fax. "Everything else is as nebulous as all get out," he said. Shaw testified earlier in the retrial that his "best guess" for the "really hard crash" and 10 to 15 "quick thumps" was around 7:30 p.m. The timing is crucial to the case against Oland in the bludgeoning death of his father. The defence has submitted a time-stamped security video that shows the accused casually shopping at a drug store and country market with his wife at 7:38 p.m. in the neighbouring community of Rothesay, about a 15- or 20-minute drive from the city. When Ainsworth and Shaw spoke to police at the scene on the morning of July 7, 2011, shortly after the victim's body was discovered, they both indicated the noises were at "8ish," according to the officer's notes, the retrial has heard. 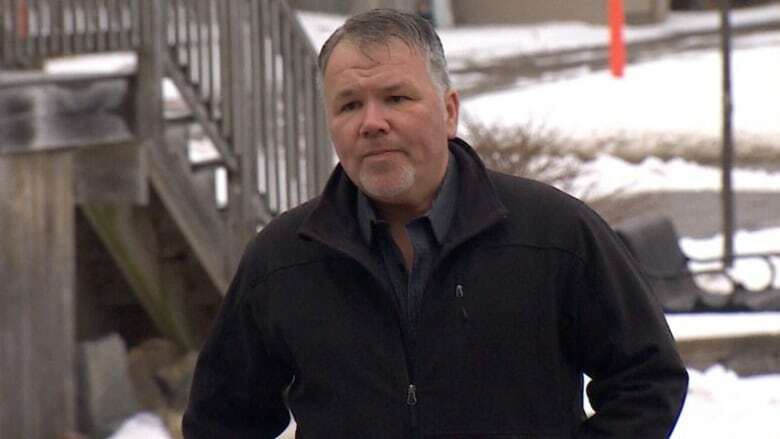 Ainsworth told the Court of Queen's Bench he believed at that time, and when he subsequently went to the police station to give an official statement, that Richard Oland had died of natural causes. He suspected it was a heart attack. "I'm not doing anything other than putting on the record why we are very sensitive to any further stories from this man about conversations that changed his opinion, etcetera, etcetera," he said. Veniot agreed to move on, but told the judge the information "in relation to Mr.Shaw and Mr. Ainsworth only came to be" after Shaw's testimony. "It did not even exist for disclosure." Dennis Oland, 51, is being retried for second-degree murder in his father's death. The accused is the last person known to have seen the multimillionaire alive when he visited him at his investment firm office on the evening of July 6, 2011. The body of the 69-year-old was found in the office the next morning, face down in a pool of blood. He had suffered 45 sharp- and blunt-force injuries to his head, neck and hands. No weapon was ever found. A jury found Oland guilty in 2015, but the New Brunswick Court of Appeal overturned his conviction in 2016, citing an error in the trial judge's instructions to the jury. He is being retried by judge alone. The trial is scheduled to resume Friday at 9 a.m. with the videotaped testimony of two DNA experts from Oland's first trial in 2015. Ainsworth is expected to be back on the witness stand at 1 p.m. for cross-examination by Gold. Earlier Thursday, Gold announced the defence team wants the court to visit the crime scene. "Just to alert the court, the defence is going to seek to have the court take a view of 52 Canterbury," he said. 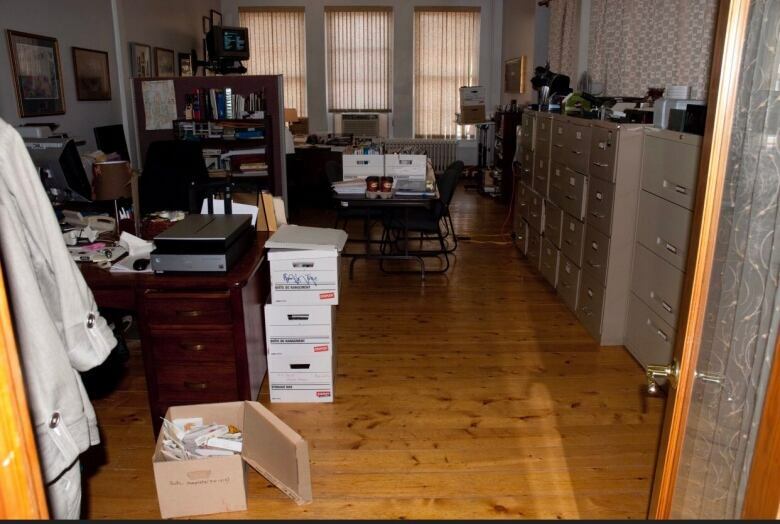 Photographs of the crime scene "don't do justice to the compactness of the location and that may well be a factor that the court has to consider in deciding what happened," said Gold. The Crown wishes to visit the victim's office before deciding whether it will contest the defence application, he said. "I'm just alerting the court that that is on our agenda." The judge said such applications are "not routinely granted." "In any event, the application will come and I'll deal with it at that time," said Morrison. 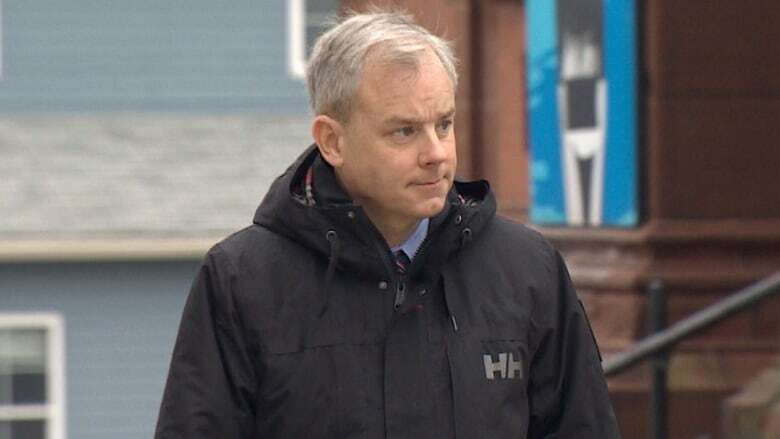 A site visit is technically not part of the evidence at a trial, but in cases where it would help a judge or jury "appreciate or evaluate the evidence," "it can be appropriate," Oland defence lawyer Michael Lacy told CBC News. "​There have been a number of cases in Saint John where we understand judges have taken a view in criminal and civil cases," he said. Court staff were not immediately able to provide any statistics. The Criminal Code states a judge "may, where it appears to be in the interests of justice", direct a jury to "have a view of any place, thing or person." Although the section refers specifically to jury trials, Lacy contends "the law is clear" that it also applies to judge-alone cases. 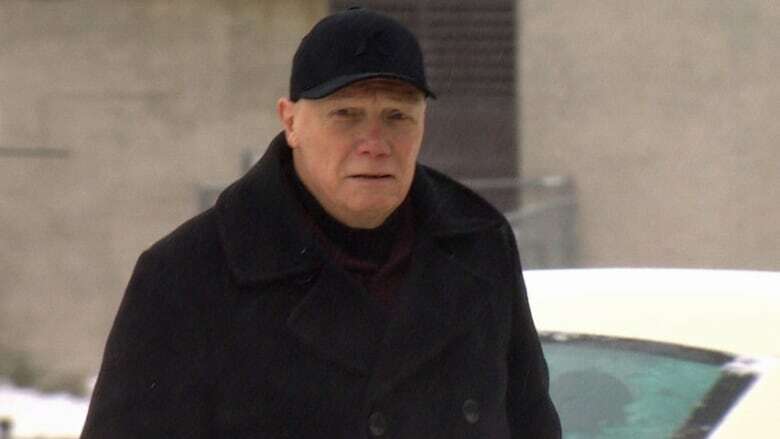 The defence did not request a site visit during Oland's first judge and jury trial. Lacy said "there's no significance" to not having done so. It "just was not something pursued," he said, adding there are logistical issues with jury trials that make it more difficult to arrange. Another agreement involved the so-called neighbour cell tower sites of the uptown Saint John tower. Rogers Communications is unable to confirm whether the Rothesay tower that transmitted the final text message received by the victim's missing iPhone on July 6, 2011 at 6:44 p.m., around the same time the accused was in that area, was on the neighbour list of the uptown site back then. However, given the limited number of towers in the area and the fact no towers have been decommissioned since then, it is "highly likely" the Rothesay tower, known as the Fairvale tower, would have been on the neighbour list of the uptown tower the victim's cellphone had communicated with earlier in the day while he was at his office. The Crown alleges the victim's phone communicated with the Rothesay tower because the accused took it after he killed his father and headed home. The defence contends the phone could have still been in Saint John and communicated with the Rothesay tower. Neighbour towers can take over during peak volumes or technical problems.